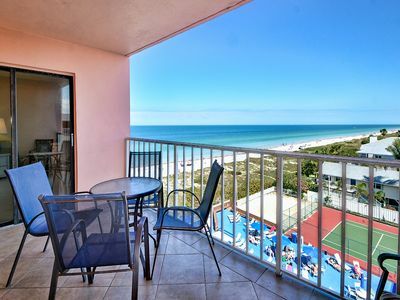 MEMORIAL WEEK DISCOUNT ON SPECTACULAR BEACH CONDO. HEATED POOL - EMAIL US. SPECTACULAR, Beach condo. 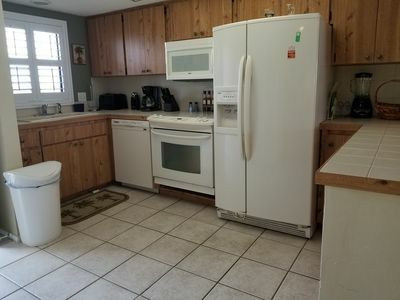 2 BEDROOM, 2 BATH, PLUS DEN. Spacious 1,500 sq. 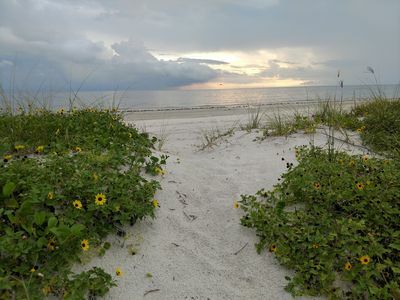 feet, offers comfort and luxury in one of the best buildings in Indian Shores. REMODELED 5 STAR BATHROOMS AND KITCHEN. 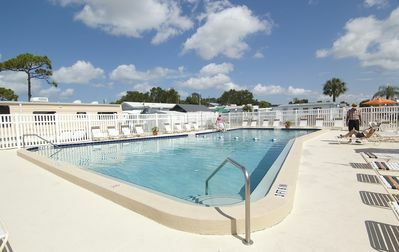 Beach front building, with heated pool, FREE WIFI AND FREE COVERED PARKING. hot tub, and pool area overlooking the beach. Condo is beautifully decorated with spacious areas, includes Italian Leather sectional couch, Wood-burning fireplace in the Living room, entertainment center with 52" FLAT SCREEN TV, stereo, board games, DVD movies, full library. Large open Living room/Dining Room (seats 6) area, which opens to balcony. 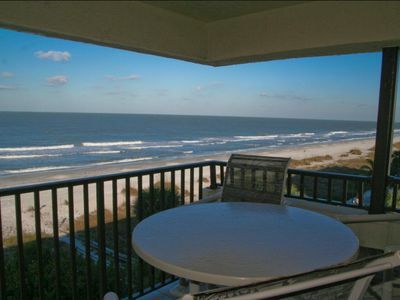 Balcony also has table for 6 to enjoy your peaceful view. LUXURIOUS Master Suite with comfortable King size pillow top mattress, new master suite set, plantation shutters, and newly remodeled, bathroom with your own jetted shower, double sinks, walk-in closet, and separate dressing area in Master Suite. SECOND BEDROOM has King size Master Bed, with pillow top mattress, plus futon that opens into full size bed and flat screen tv. DEN has additional SEPARATE space with desk to work, daybed and additional flat screenTV. Total of FOUR (4) TVS in the unit. 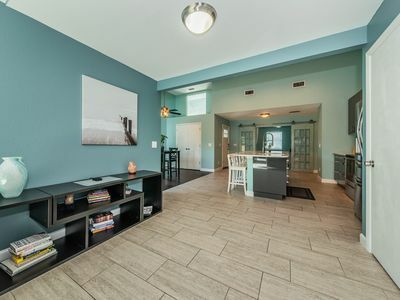 Fully equipped kitchen with new STAINLESS STEEL APPLIANCES, includes side by side stainless steel refrigerator with water and ice maker dispenser on front door, smooth top stove with self cleaning oven, stainless steel dishwasher, full size microwave and bar with wine cooler. Kitchen has counter bar which opens to Formal Dining Room for 6 guests. FULL size stainless steel washer and dryer inside your unit. 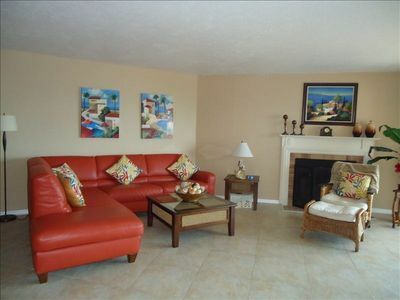 Tastefully decorated condo at Beach Cottage I, which is considered one of the most desirable buildings in Indian Shores. 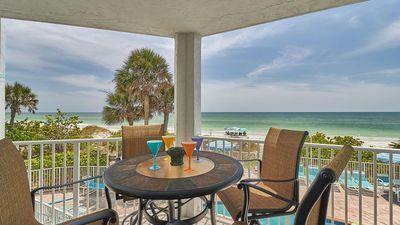 Directly on the beach, enjoy spectacular sunsets and moonlit nights on miles & miles of white sandy beaches in the Gulf of Mexico. 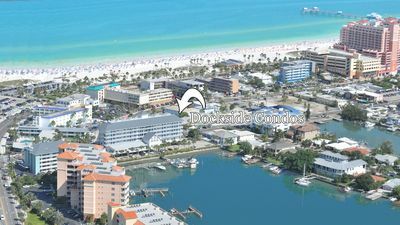 Walking distance to water sports, restaurants and shops. Beach volley ball on premises, fishing pier within walking distance. Water sports and beach bicycles available for rent nearby. Near John Pass, which offers shopping, dinning and day cruises. Assigned covered parking FREE in building with plenty of additional visitor's parking. 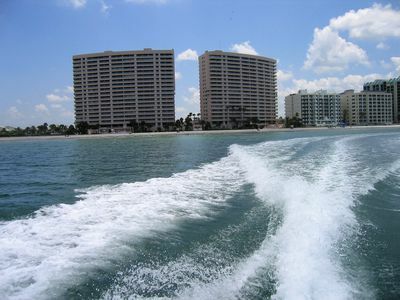 Near good restaurants, great shops and John's Pass, offering deep-water fishing, water sports & day cruises. 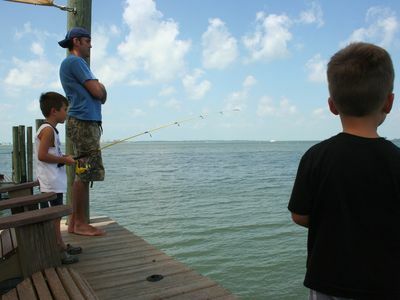 Walk to REDINGTON PIER for line fishing and more water sports. 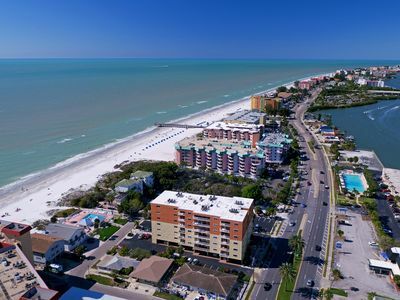 Only 28 miles from Tampa and Busch Gardens; 10 miles from Clearwater Beach & 15 miles from St. Pete. Less than a two hour trip to Disney World and Orlando parks. 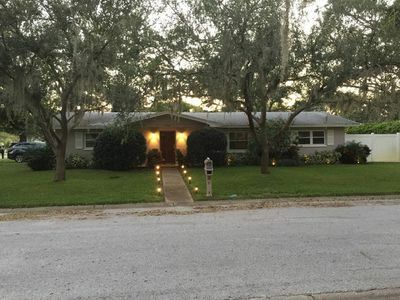 45 minutes to Tampa International Airport and 15 minutes to St. Pete/Clearwater airport. Beach Trolley avaialble in front of premises running through all the beaches from Clearwater to John's Pass and St. Petersburg day and night. 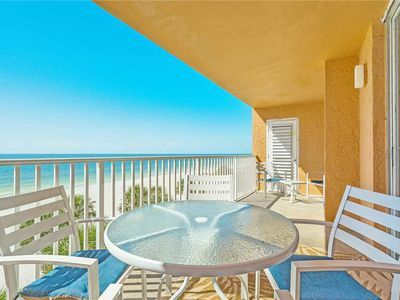 Keywords: Luxury 2 bedroom 2 bath condominium PLUS DEN on white powder sand beach. 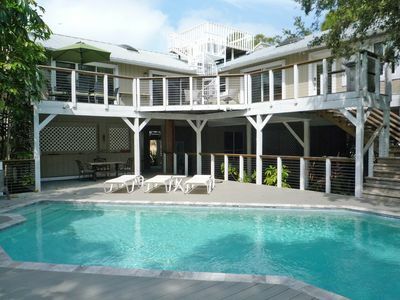 Amenities include heated pool, hot tub, beach volley ball, covered parking. Jetted shower in master suite. Family/Kids friendly. 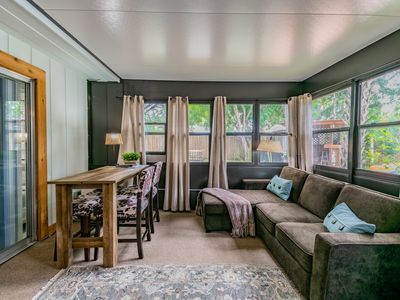 All the comforts of your home, including full size washer & dryer in unit. 52" inch Flat Screen TV in Living room. Fully equipped kitchen. Total of 4 flat TVS in the unit, including Living room 52" flat tv, one in each of the 2 bedrooms, plus one in the DEN. Beach chairs, towels and beach umbrella in unit. 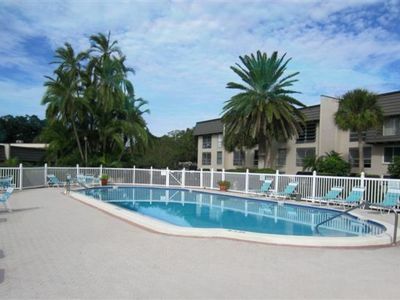 Walking distance to restaurants and attractions. Trolley stop at location. 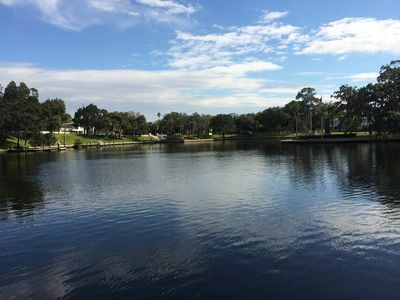 Trolley takes you to all beaches including St. Pete and Clearwater, hop on and off for just one fare a day. 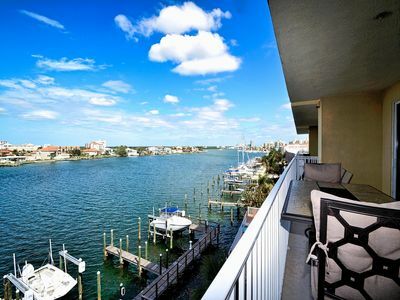 Beautiful sunset views from the direct gulf front balcony and just steps from the beach! 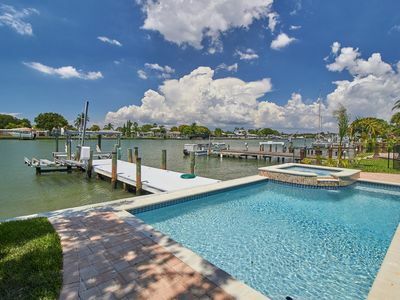 Paradise Found & it's only a mile to Indian Rocks Beach & it comes with a pool! 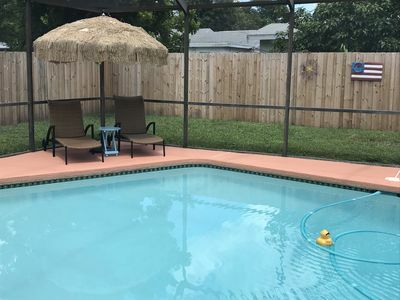 Downtown Dunedin Cozy Cottage in Tropical Setting with Heated Pool!